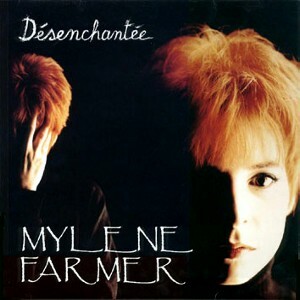 We return now to the realm of French pop and its undisputed queen, Mylene Farmer. Were you inclined to put Madonna and Pet Shop Boys into a blender and blitz on full power for a couple of minutes – in France – she might well be the result. Désenchantée, as you may have noticed, is not short on drama and came with one of those absurdly long and expensive Message Videos where there’s so much noise overdubbed that you can barely hear the song (see also: The Jacksons and Can You Feel It?) It’s kind of a totalitarian Les Miserables-meets-Oliver Twist affair and is sadly lacking in amazing dance routines, but then you can’t have everything. The song though, is literally one of the best pop productions ever – it’s up there with Grace Jones‘s Slave to the Rhythm in being absolutely perfect from start to finish. Opening with all the foreboding of a storm blowing in, it explodes into a relentless 126bpm, managing to convey disenchantment and revolution to those without even a word of French. Grounded throughout by a terrifically sinister piano, it’s one of the most exciting five minutes of music ever made. Naturally this wasn’t even released in the UK – despite earlier successful forays by Vanessa Paradis and Desireless, nobody at Polydor seemed to think it was worth doing. Or perhaps Mylene just wasn’t fussed. Who knows? All I know is I would have loved to hear this woman do a Bond theme. Who could sing this today and have a hit? I really, really want Ruth Lorenzo to do a Spanish version of this. She can do drama, that girl.